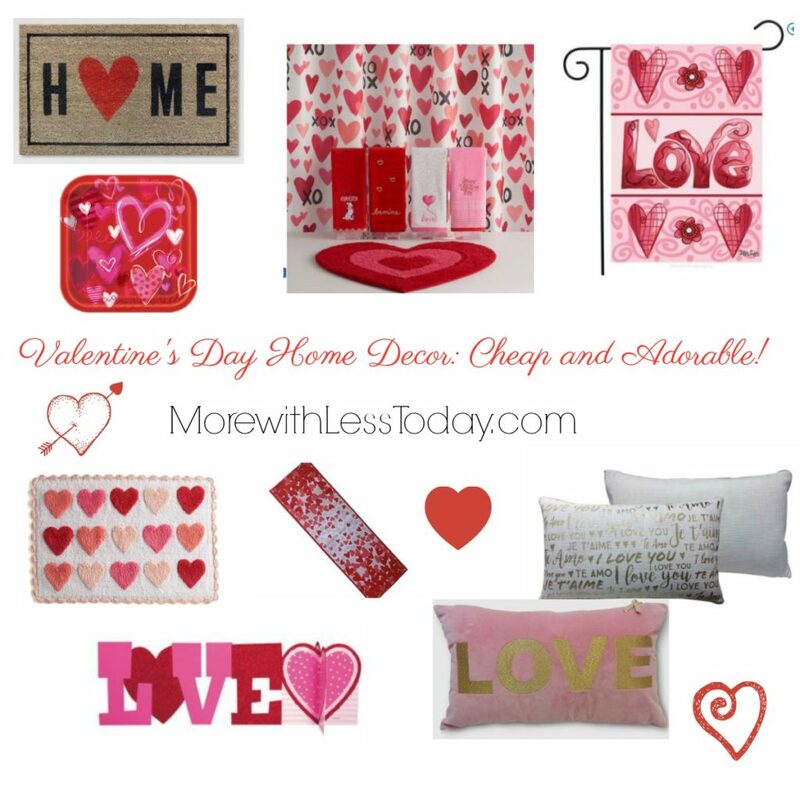 Valentine's Day Home Decor: Cheap and Adorable! From Target, Kohl's, Walmart & more! 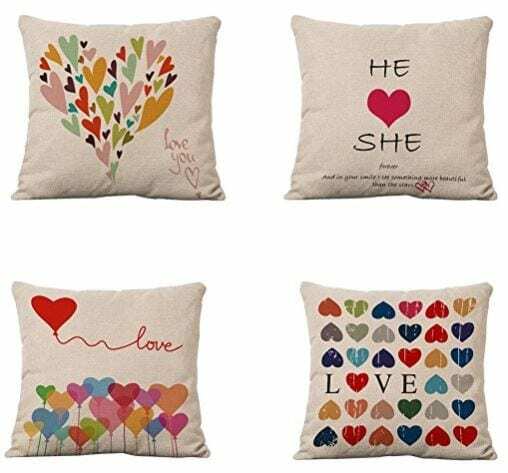 Valentine’s Day Home Decor – Cheap and Adorable! From Target, Kohl’s, Walmart & More! 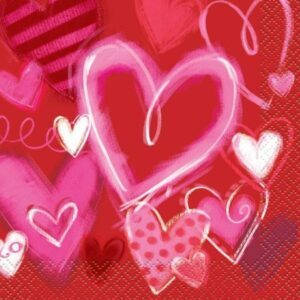 Valentine’s Day is such a fun holiday. It’s the perfect excuse to do some inexpensive seasonal decorating. Here are some cute things that I just love, and they are affordable! 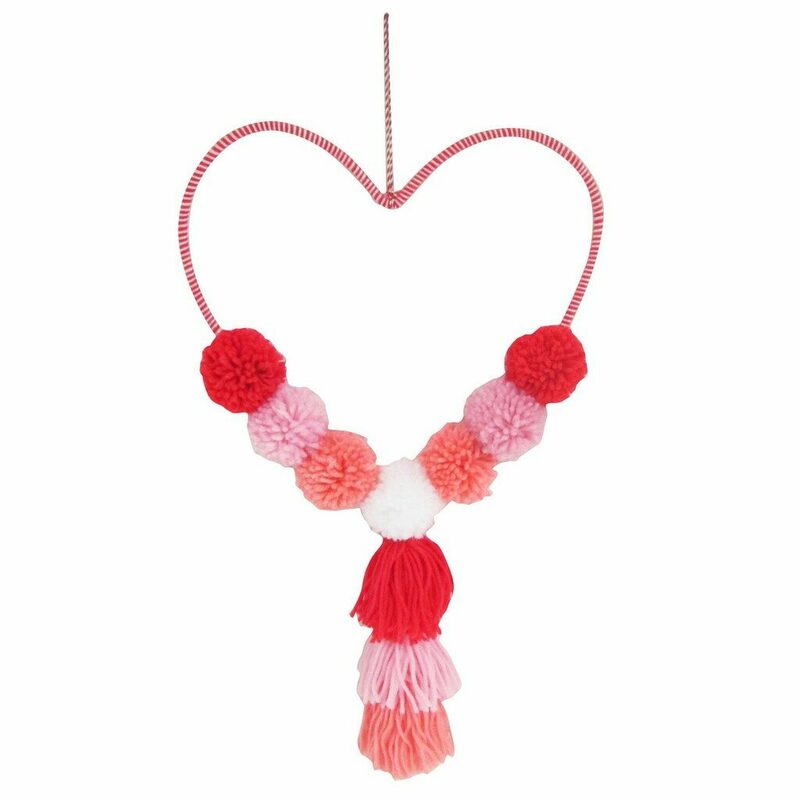 Start things off by hanging this fun Valentine wall hanging. Hang it over the mantel or on a wall. It sets the tone for all the other fun stuff! Throw pillows are a great way to add seasonal flair to any room in the house. These add some fun bling as well. 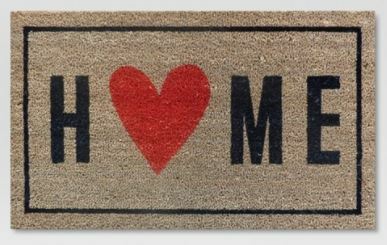 A warm welcome will always be waiting for friends and family with this home and heart welcome mat. 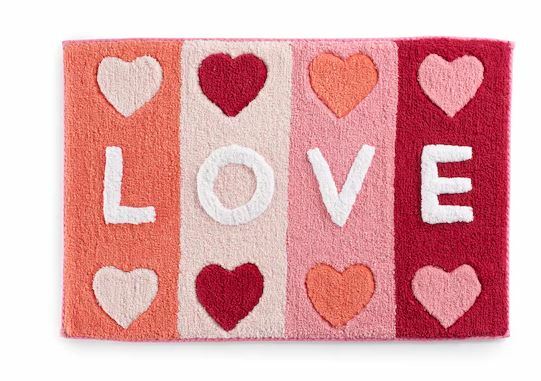 This love & hearts bath rug would also be perfect in a little girl’s room. I love the different shades of colors in this one. 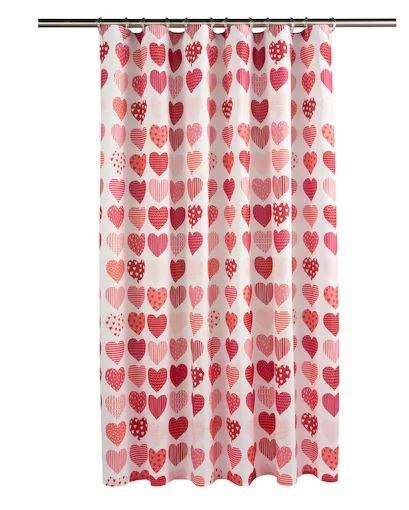 Love is definitely in the air and splashing color across the table with this delightful heart table runner. 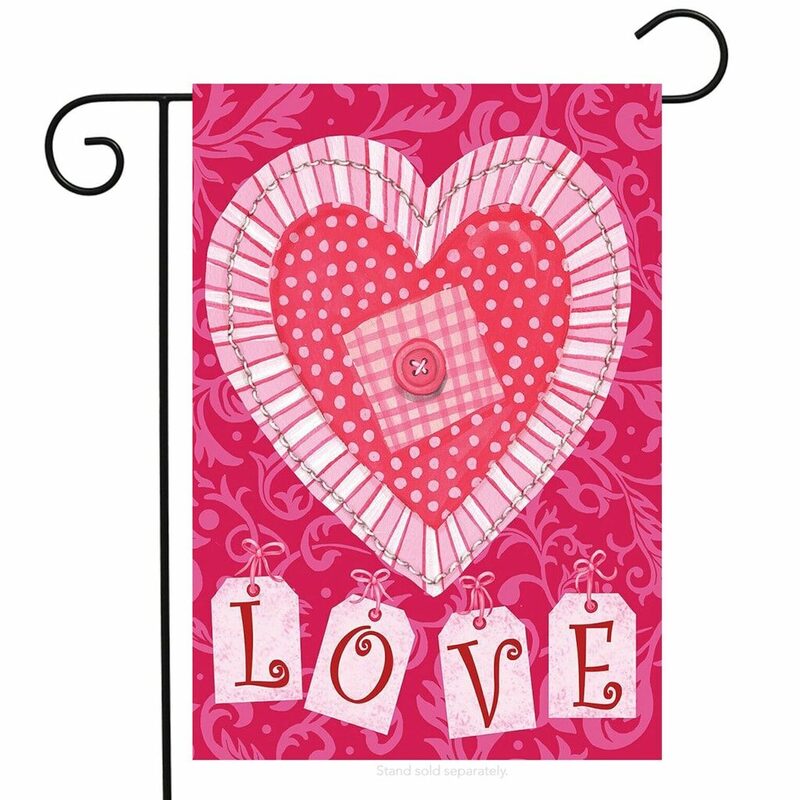 Cook up your Valentine’s Day meal with love and serve it up on a table highlighted by this beautiful table runner. Don’t worry about washing the dishes while you enjoy your romantic dinner. 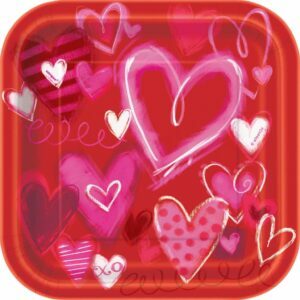 Serve up your Valentines’ Day treats on these bright, festive plates. 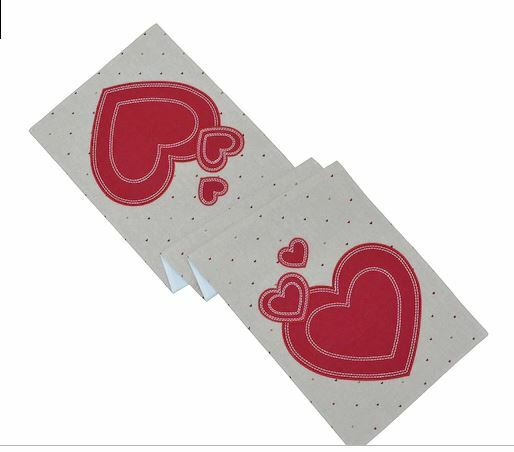 These coordinating napkins will only add to the Valentine fun and color so grab these too! Add to the party fun with this 3D centerpiece. Set it on your table or mantel. This is one of my favorites! Spread the love from the garden or front lawn. Make your neighborhood a sweet place to be by flying this cute flag. Add this romantic wall quote to any wall and let your special one know how much you love them. You can leave it on the bedroom wall all year long. 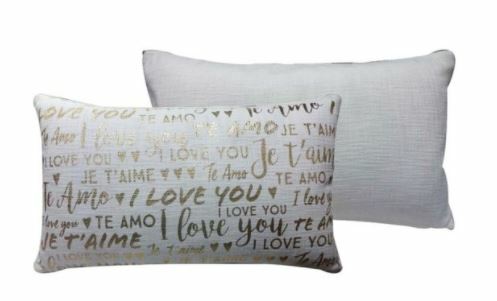 Cover your throw pillows on the bed, on the sofa or even on a corner with festive love-themed pillow covers. There are several sets to choose from. This is one of my favorite ways to change things up each season. PIN it to share and save for later!